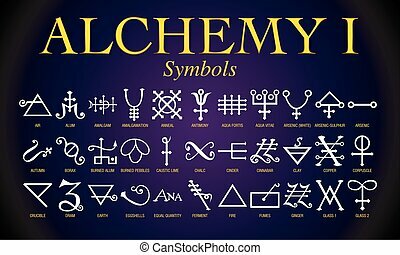 Set of Alchemy Symbols. It is an ancient practice shrouded in mystery and secrecy. Its practitioners mainly sought to turn lead into gold. A set of flat geometric alchemy related items. This is an Ai 10 file that does not contain transparencies, gradients, or blends. All layers have been grouped and named for easy editing. All unused color swatches, symbols and brushes have been removed from palettes. 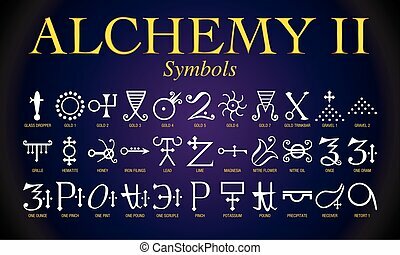 Alchemy vector icons. Icon style is bicolor smooth blue flat symbols with rounded angles on a white background. Alchemy vector bicolor icon with 1000 medical business icons. 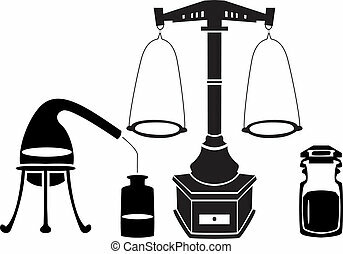 Set style is flat pictograms, blue and gray colors, white background. Vector illustration four elements icons, line symbols. Air, fire, water and earth symbol. 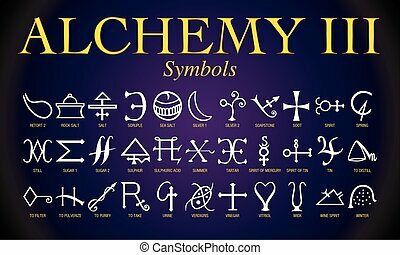 Alchemy icons. Four basic elements. 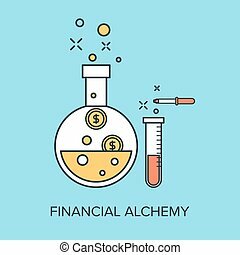 Vector illustration of financial alchemy flat line design concept. Icons for industry. Vector illustration.